17 pints of your favourite brew! 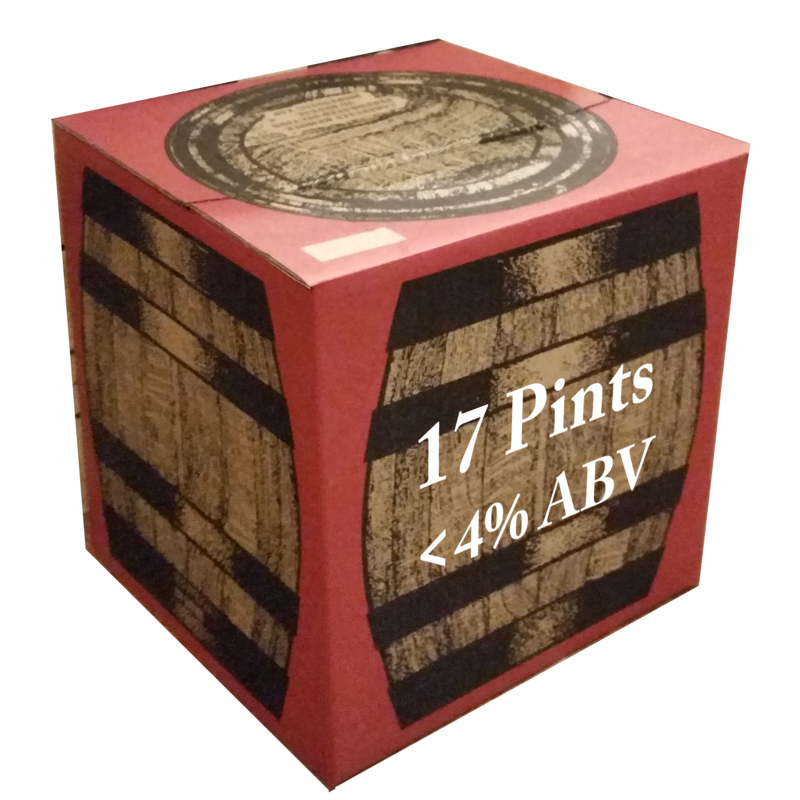 Perfect for any party, this is a flexible container of beer that comes in a neat keg-printed box, no venting, prepping or standing required. All you have to do is open the tap and pour yourself a pint. As the beer must be settled and filtered to be put in polypins, we need at least 2 days notice to prepare one. Polypins must be used within 5 days of preparation, so be sure to specify the date of your event and we’ll find a pickup time to suit you and make sure your beer is as fresh as possible. Please note: Mini and poly pins are made to order and as such are non-refundable.